Sometimes kids don’t feel like blessings. I am sure I am not the only mom that feels that way. Sometimes, when I am tired and they make a huge mess, they don’t feel like blessings. When they are arguing with each other, they don’t feel like blessings. “Don’t you see that children are God’s best gift? Every time in the Old Testament when God says he will bless someone, he starts by saying he will give them more children because they are a blessing. Society, today, would have you believe otherwise. Children are a problem and not important. You should not have them if it’s not convenient for you and you should only have one or two because they might get in the way of important stuff like what kind of car you drive or your career. The world sees children as a liability instead of an asset. One only has to look as far as the abortion rate to see how little society thinks of children. There were over one million abortions performed in 2011, which is the lowest it’s been in 40 years. That is appalling! More than 1 million babies per year are killed because they were inconvenient. That is what society really thinks about kids. I am not sure the church thinks any better. Sure, we don’t believe in abortions, but we still don’t want any more “blessings” than the rest of society. We don’t view kids any better than society. 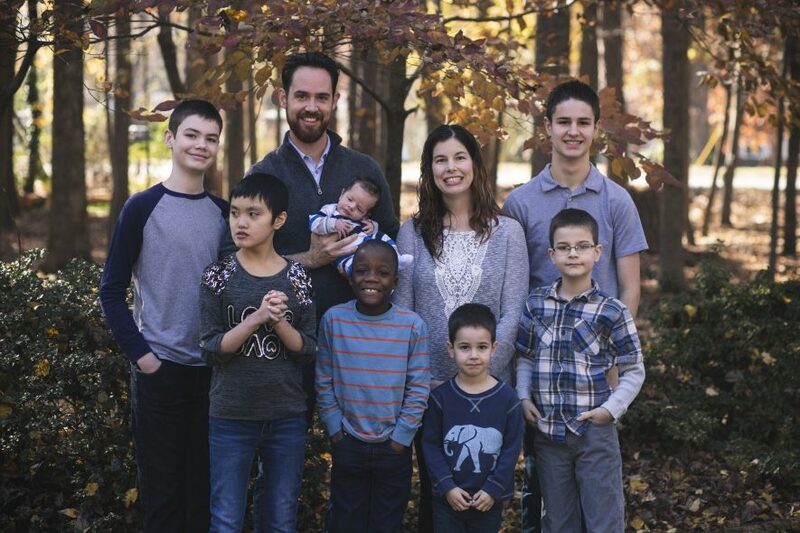 I get asked over and over why in the world we would want 5 kids. People say we are crazy, or saints or some such thing. I disagree. We are not crazy, okay, maybe a little. We are certainly not saints, just ask our 5 kids. We just see kids differently than most people. God has BLESSED us abundantly with our five kids and if He chooses to bless us with more, we will say thank you. We are open to his blessings. Many christians are open to being blessed financially, I would say you would be hard pressed to find someone who isn’t. Sure God, give me a million dollars or a new car, I will take it. However, when it comes to him wanting to give you kids you say, no thanks. Why? Parenting isn’t easy. I would not pretend it is. Kids are difficult sometimes. They take time and money. Why would we want that? Well, what I have learned is that these little people are God’s. He has a plan for each one. You have no idea who you might be raising. What if Mary had said she didn’t want to be Jesus’ mother because he came at an inconvenient time? Imagine that! God knows each child and he has a plan for that child that you have no idea about. What greater blessing than to be able to parent that child? We have it all backwards, we think that we should pursue money and prestige and careers. You cannot take any of that to heaven with you. The only things you can take with you to heaven are people. You should spend your money and time on people, especially your children. They are blessings not burdens. Let that sink in and affect your life. You will be amazed at the way it changes your relationship with your kids.